It is said Every 24 hours, enough sunlight touches the Earth to provide the energy for the entire planet for 24 years. Thanks to increasing public recognition of its environmental benefits, government initiatives and declining manufacturing costs, the share of solar power in Energy sector is rising like never before. By the end of 2017, cumulative photovoltaic capacity reached about 401 gigawatts (GW), estimated to be sufficient to supply 2.1% of global electricity demand. 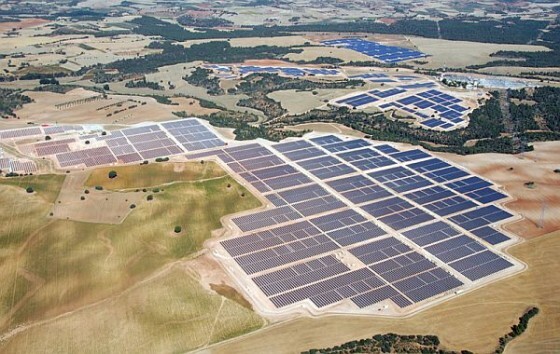 Lets look at some of the largest solar parks operating in the world. Tengger Desert Solar-Park is the world’s largest photovoltaic plant. It is located in Zhongwei, Ningxia, China. It has a peak power output of 1,547 MW. Located in Jodhpur, Rajasthan, Bhadla SolarPark is the largest operating solarpark in India. Its current capacity is 1,365 MWp. The park is proposed to have a capacity of 2,255 MWp. The plant is located in Kurnool district, Andhra Pradesh. Its total capacity is 1000 MWp. The current commissioned of plant stands at 1000 MWp. However, with a projected capacity of 3000 MWp – Datong Plant, has the potential to become the world’s biggest single-location solar PV project. This plant has the capacity of 850 MWp. Rewa Ultra Mega Solar is a operational solarpark in Madhya Pradesh with a capacity of 750 MWp. Kamuthi solarpower plant is a 648-mw power project set up by the Adani Green Energy, part of the Adani Group, in Tamil Nadu in 2016. The Shakti Sthala solarpark is located in the drought-prone Pavagada region of Tumkur district, about 180km from Bengaluru. Its commissioned capacity currently stands at 600 MWp.